BD introduces Anastasia Musick, a talented artist with her eyes set on the marine environment via her love of fishing and the outdoors. 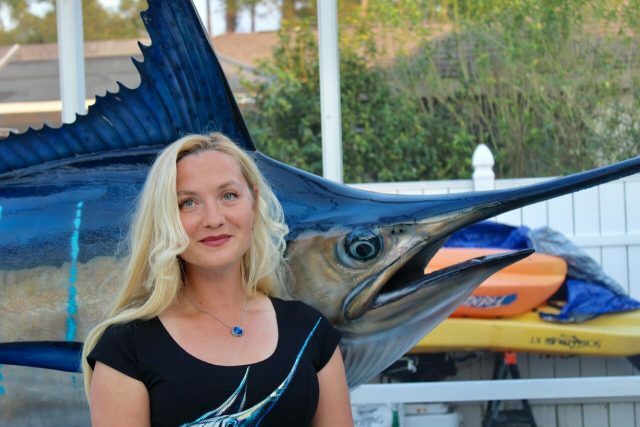 Anastasia Musick:My physical home is located in Charlotte Harbor, but I feel most at home when I am fishing and painting, preferably at the same time. 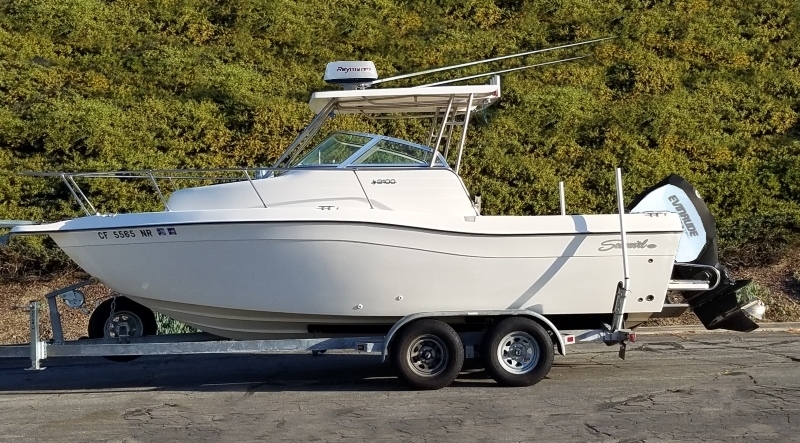 I travel a good bit all of Florida and have made close friends all over the state, as a result, I am afforded the opportunity to fish and paint from East coast to West coast. BD:You have an interesting accent, where are you from? Anastasia Musick:I hope you have prepared some extra space for this answer! I was born in Kazakhstan, which was practically invisible until the movie “Borat” changed it from invisible to comedic. My family and I moved to Russia, then on to Spain, Germany, and China, and eventually ended back up in Russia in my late teens. I came to school in the United States and after earning my degree and working for a while, I married my college sweetheart, Whitaker. 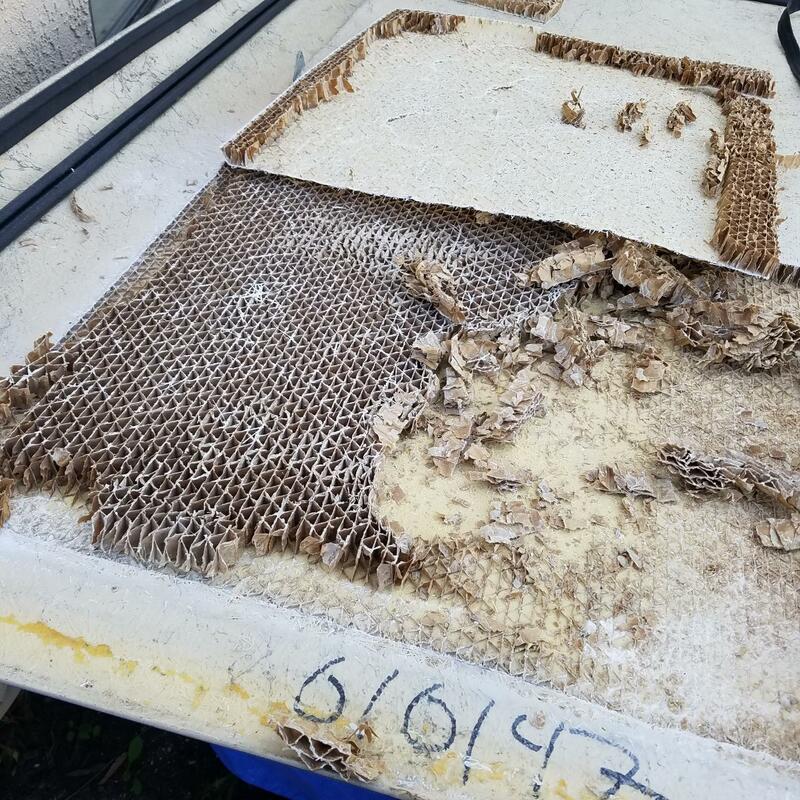 During this time , we made friends in Punta Gorda, Ft. Myers, and wouldn’t you know, we became addicted to Florida, thus, we moved here and will remain here…forever! BD:How did you get started in artwork, what was the evolution of your style? Anastasia Musick:I was instructed by a variety of occupational artists in several of the countries I lived in (Kazakhstan, Russia, Germany, China, Spain, to name a few); however, I never went to a brick and mortar building to learn how to paint. From a very young age (6 years old), I was constantly learning techniques, color theories, and of course being instilled with the values I maintain today. During the daytime, I was constantly playing a game of language catch-up because I was dropped cold turkey into schools speaking languages I did not understand initially, but my nights, both then and now, belong to the canvas. BD:What is your educational background? Anastasia Musick:I started university in Russia and acquired a degree in commercial textile design, but I really wanted to come to one of the famous art institutes in America, but could not find a feasible way to make it work financially. As a result, I applied and was accepted at a few of the smaller institutes in California and Florida but was only given partial scholarship, thus I had to keep looking. Eventually, I was given full scholarship to a school in MS; however, the scholarship was not for art, it was for tennis (I played professional tennis in Russia). Almost 16 months later I had completed one year of schooling, had a 4.0 gpa, and was not only playing position-one on their team, but was being used as a measuring stick to gauge how well the men’s tennis team was doing. BD:What mediums do you work with? 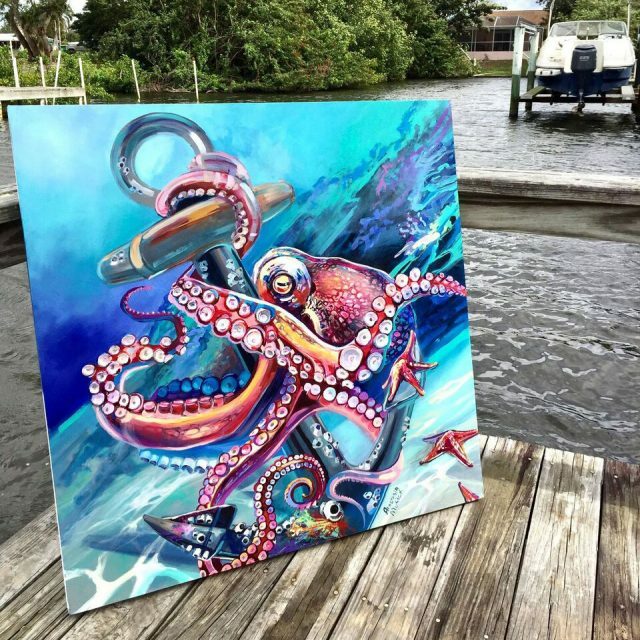 Anastasia Musick:My marine art is almost entirely oil on canvas, but in previous subjects (world war 2 aviation, dancing, floral, and landscapes) I have worked in both oil, acrylic, and watercolor. I use a variety of techniques that I was taught from artists around the world and in my commercial textile degree to add uniqueness to my artwork. 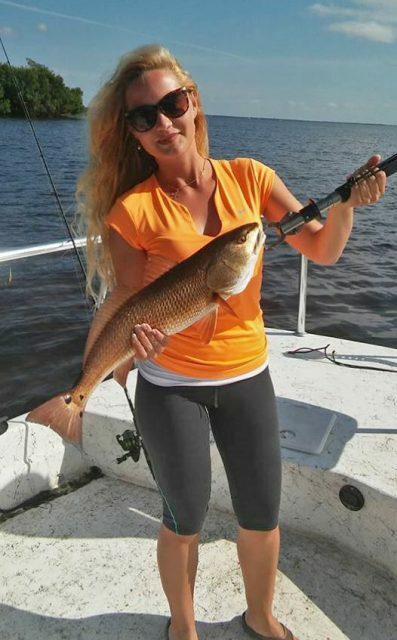 Anastasia Musick:I really love to go fishing, I don’t care where or how, there is just something that clicks for me when I am outdoors and on the water with a fishing pole. 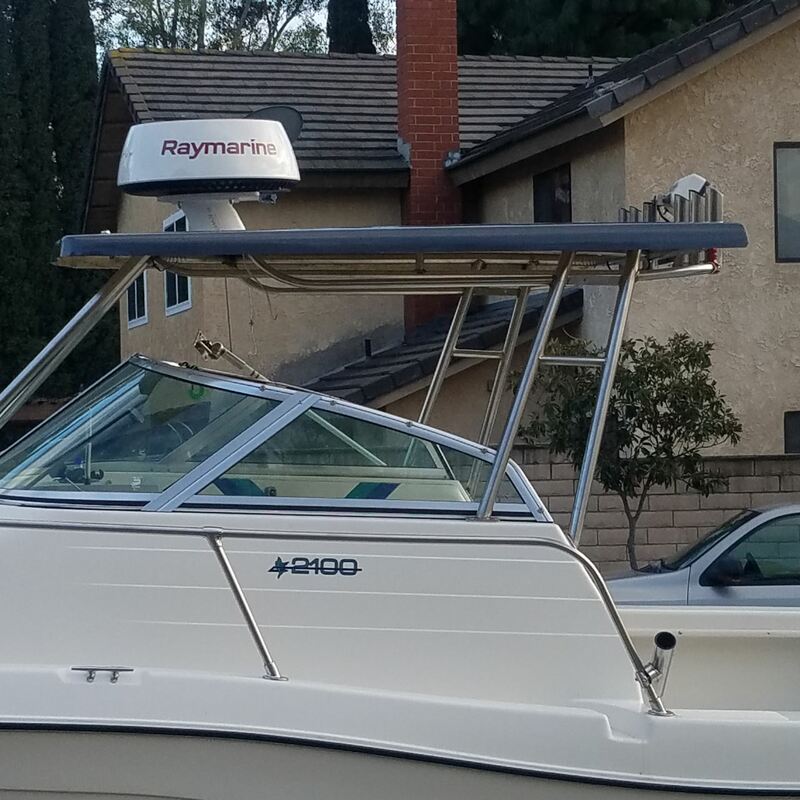 When I am not fishing, I am tracking down people to play tennis with; however, it is harder than you think to find men who want to play a level 5.5 female tennis player, haha. 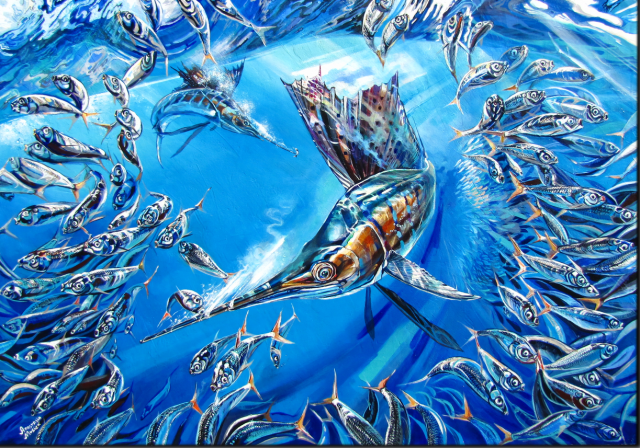 Fishing is most certainly related to my artwork, as marine life is my main painting theme. 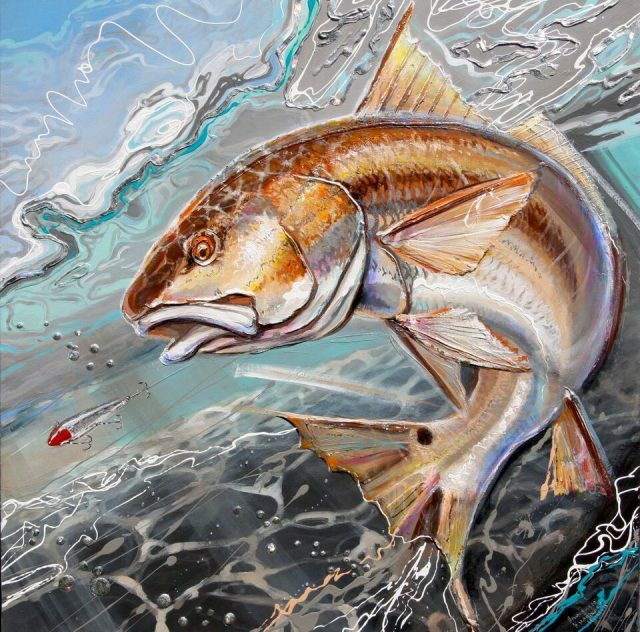 I have painted other subjects in the past, but as much as I love to fish, I love to paint fish even more. 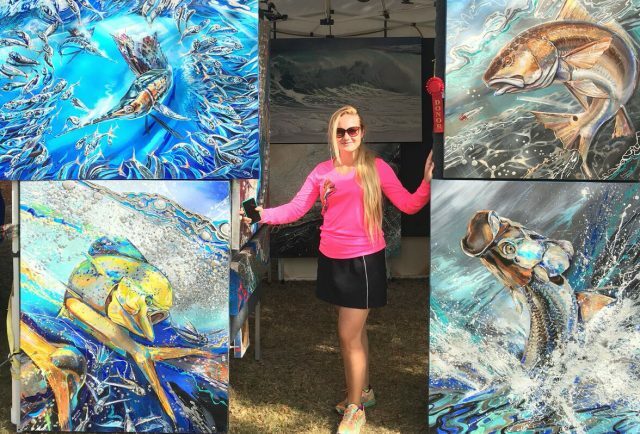 Anastasia Musick:Well, my immediate goals (this year) are to become even more involved in creating artwork for tournaments and organizations that work with anglers, and to expand my fish artwork collection extensively. 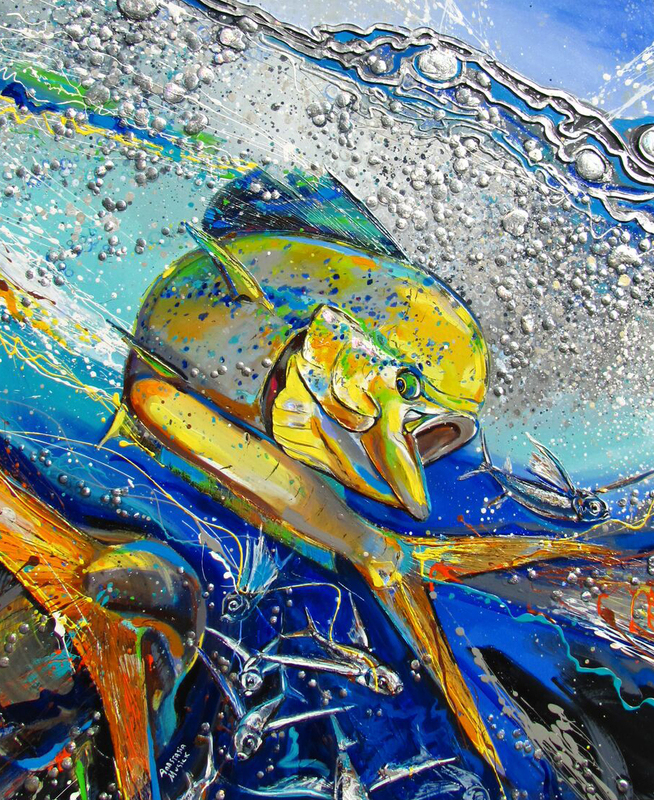 I have been invited this year to be the featured artist for the Billfish Foundations 12th Annual Billfish Classic, which I am extremely excited about. 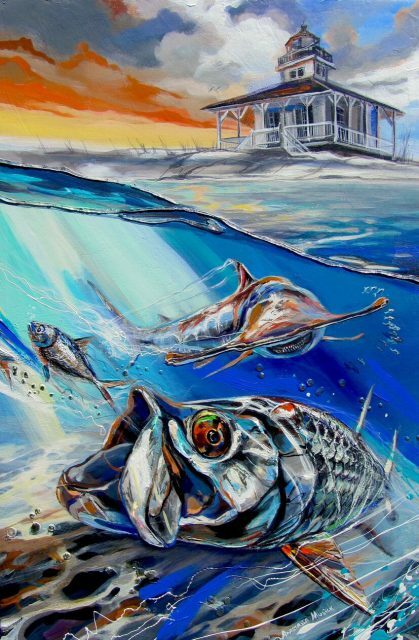 I was also invited to be a featured artist for the CCA banquet in Charlotte County, so hopefully both of these events will be springboards for future opportunities with the Billfish Foundation and the CCA. 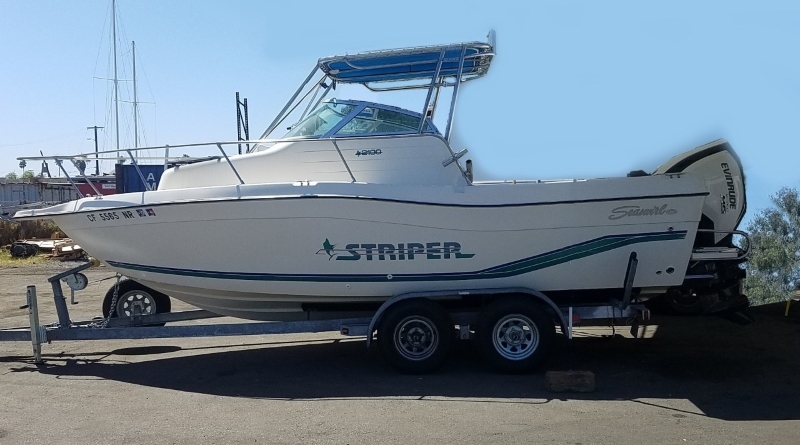 My 5-year plan consists of several items, most namely to become more involved with fundraising events to protect Florida’s marine life and coasts. I have worked recently with Hooked University in designing coloring pages for their educational venues at Florida schools, and realize how important it is to stimulate kids interests in not only the sportsman’s lifestyle, but in the protection and conservation of the habitats they enjoy. I would like to also expand my work to include a full line of apparel for men and women featuring my artwork. I have created a few styles of performance shirts featuring my artwork and have been selling them out of a local fishing shop and an upscale outfitter, but I hope to acquire a contract to make new designs monthly for a place like Bass Pro. 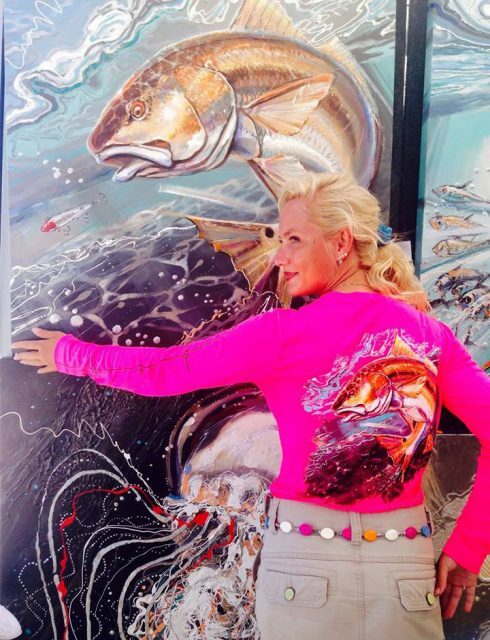 Anastasia Musick:When someone says they want to add life to a painting, most often it seems that is another way of saying its ultra-realistic, but when I say I want my paintings to feel alive, I mean I want the viewer to feel the sensation of catching that particular fish. When I am creating a new fish painting, I try to either take the perspective of the fisherman who is catching the fish or anthropomorphize a fish to take on the emotion I would be feeling if I was him. 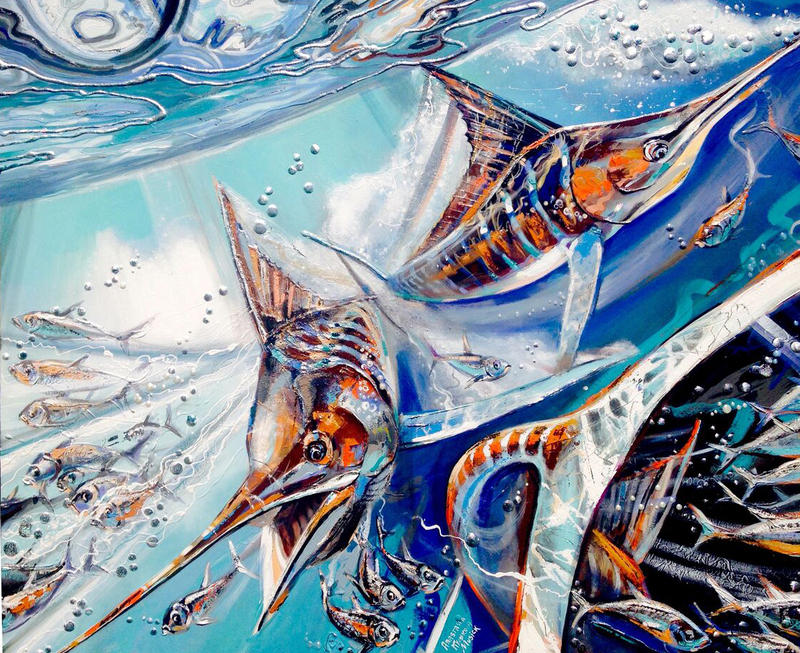 For example, in my one of my most recent paintings, “Never Surrender”, I have a large sailfish that is breaking a bait ball into almost a donut shape. 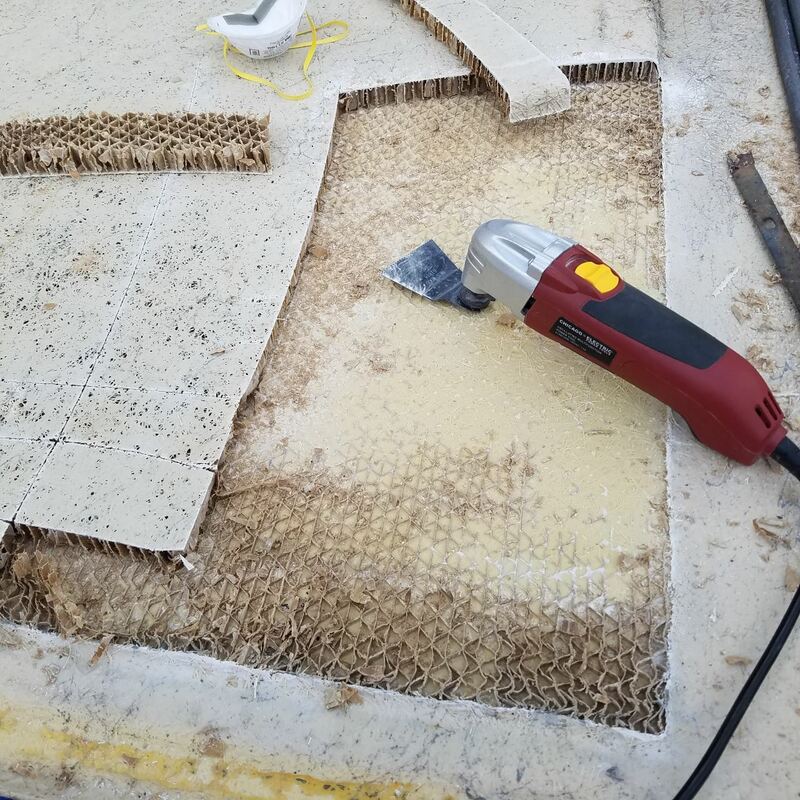 Some of the baits that are closer to the sailfish are clearly freaking out, while others that are farther almost seem to have a sigh of relief. The sailfish in the center has missed his target fish, but he is calm and collected because he now has his eye on another bait, and is currently preparing to yaw to his left. I try to give each of my pieces of artwork an open story. 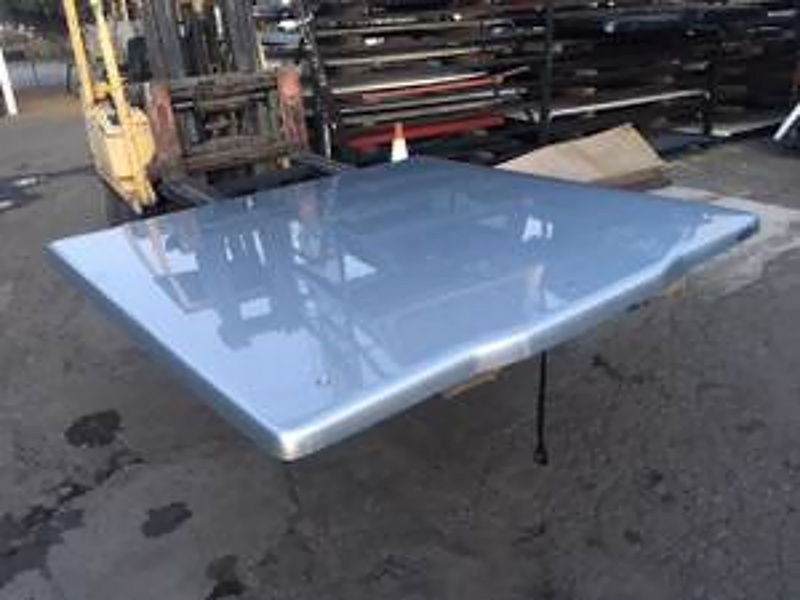 I mean, the owner of the painting will be looking at it for a very long time and it is my belief that from different angles, distances, and lighting conditions someone should find something about the painting to expand upon the story of the painting. BD:What has been the hardest project, or what is the hardest aspect of you art? 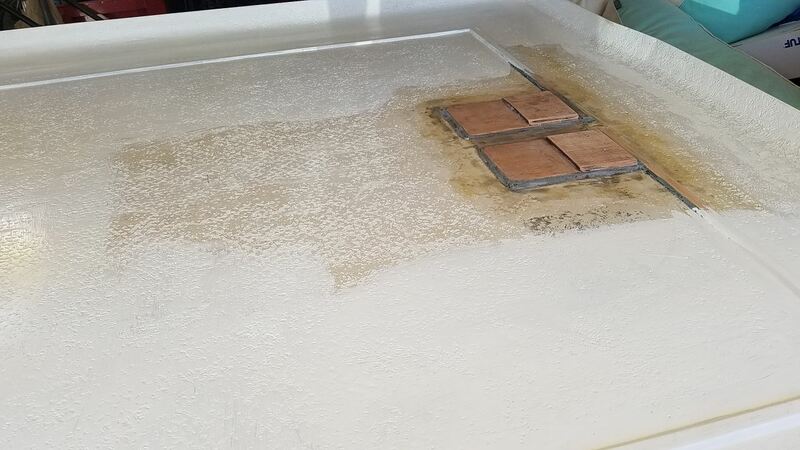 Anastasia Musick:The painting portion is not so difficult as deciding upon the emotion I want to convey and the method by which to have that come across. 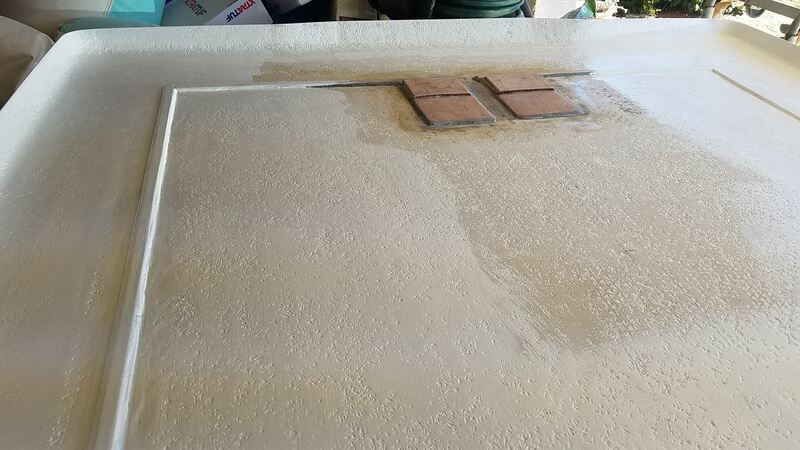 In that light, every piece is difficult. 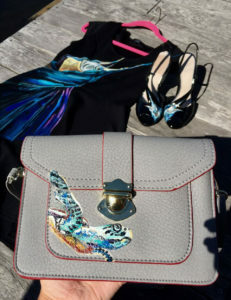 Often times, the most difficult pieces for me are the ones that are a branch out from my comfort zone, such as, a hand-painted dress to be worn at the Bonefish and Tarpon Trust fundraiser in Boca Grande. 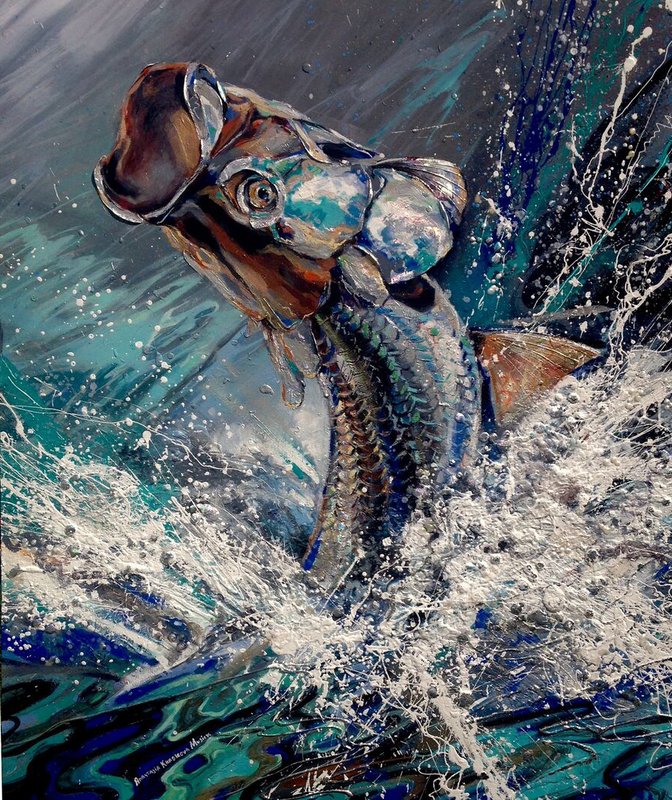 I am donating a few pieces of artwork to the fundraiser and as an attendee I decided to paint a gigantic tarpon jumping on the side of a black dress…it’s a challenge I’m still working on! 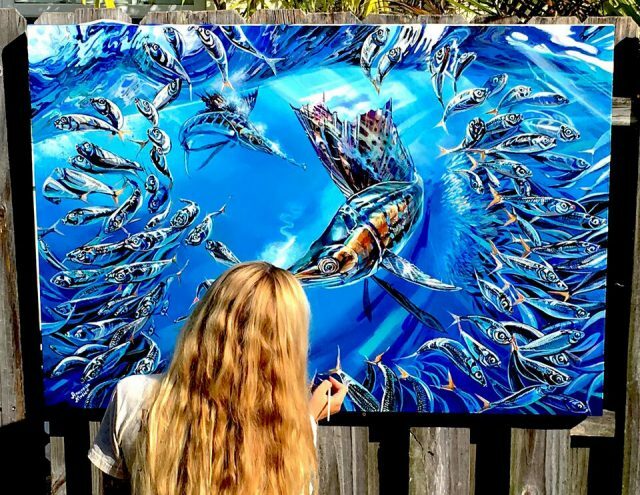 Anastasia Musick:One of my favorite feelings is when an angler sees my artwork and gets extremely excited, almost as though he just caught the fish. To me, that is a representation that my goal of providing the feeling of catching that species has at been reached. Our thanks to Anastasia for sharing her time and talents. Check out Anastasia’s website or follow her on Facebook to see more of her amazing work.